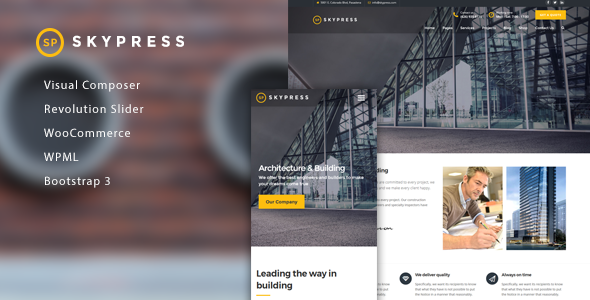 SkyPress is a clean and responsive theme for construction, building, plumbing, heating, painting and tiling as well as home maintenance companies. This premium WordPress Theme covers all you need for a business website, service, testimonial, client and team members pages. Plus, SkyPress includes plenty of customization options that allows you to change the visual style of any elements without touching to single line of codes.